Happy Earth Day! I woke up this morning to blue in my sky and was excited that Seattle weather crew were wrong about their predictions. After a weekly walk at a local park with my walking partner, and another walk when I got home because it was too hard to resist the sunshine, I went outside to garden. My To Do list can wait. Who knows when the free vitamin D will show up again! I took the photo above by putting my camera on the ground and shooting up. Just a reminder to stop every once in awhile and notice the tiny details that you might not see from above. 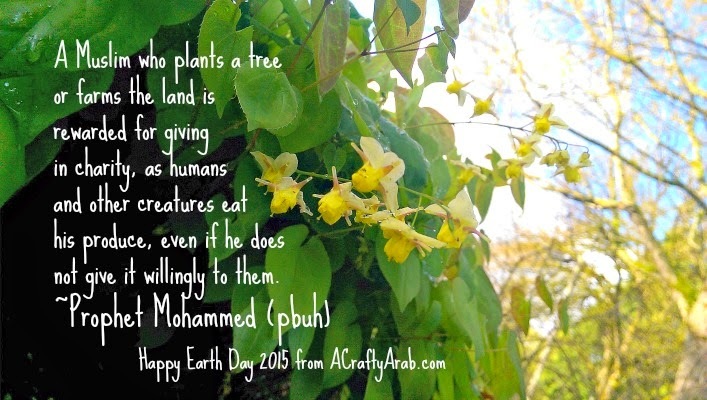 What are you doing today to celebrate Earth Day?